Home Fixes & Solutions Outlook not adding Exchange Accounts? Outlook not adding Exchange Accounts? Starting in Outlook 2016 version 16.0.6741.2017, Microsoft has enabled a new feature called Direct Connect to Office 365. 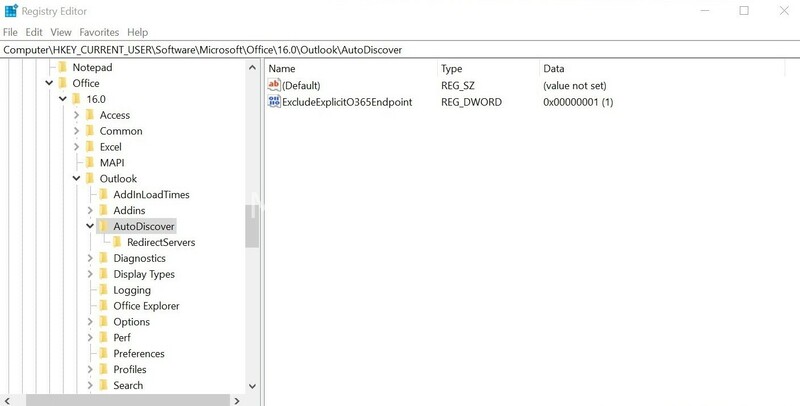 What this feature does is connect Outlook directly to Office 365 if Autodiscover is not working. 1. In Windows 10 and Windows 8, press the Windows Key + R to open a Run dialog box. Type regedit.exe and then press OK.
3. Create a 32Bit DWORD value and give it a value of 1. (if it exists just change it to 1). It can sometimes take a few minutes for the autodiscovery to work, so after rebooting go make a cup of tea, then try. Another scammed customer today, now with Ransomware! Microsoft calling you at home or the Office? This is a SCAM!!! Steve carried out a full internal clean and virus removal on our pc. It was in a terrible state, but Steve had it looking and running like new within a day. He is an excellent workman who takes immense pride in his job. His rates are very reasonable and the work is carried out to a high standard. I would definitely recommend him to anyone needing any computer work doing. Steve came out at short notice to service my pc. it is now running quite a bit cooler even with a huge overclock. The 12/24 core pc is now competing in the World Computer Chess Championship. Hopefully Steve’s work will help us win it!